You may remember Mollie’s gorgeous wedding last summer to her firefighter husband, Sean. Now they’re getting ready to welcome a new member to their family… a baby girl! (Well, 95% sure it’s a baby girl, as Mollie would tell you.) It’s funny, I love maternity sessions even more since I had my own little one. There’s something about growing a little human that is both amazing and just so darn hard! 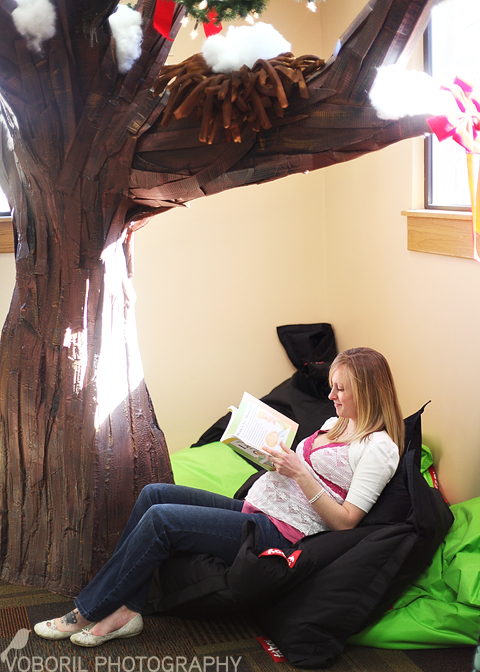 We started out our shoot in the library where Mollie goes to read parenting books and dream about her little one. We wandered the streets of Estes, ate ice cream in nearly freezing temperatures and finished up in her own little home nestled in the mountains (did I mention Mollie’s a gorgeous dancer?). Mollie’s laugh is infectious and their sweet baby is going to have a great sense of humor, I’m sure! Megan - Last one is really pretty! © 2019 Alzbeta Volk Photography|ProPhoto Website | Designed by That's Kinda Cool!